Drink, play and be merry! 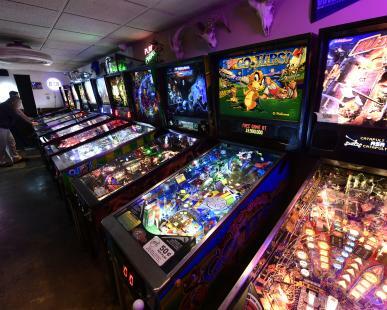 Visit this unique nightlife spot for the best pinball bar in the city! 403 Club holds a pinball tournament Wednesdays at 9 pm, as well as the first Saturday of the month. While you're at it you can enjoy a wide variety of craft beers and drink specials. Other fun features include a pool table, internet jukebox and more. Game on!